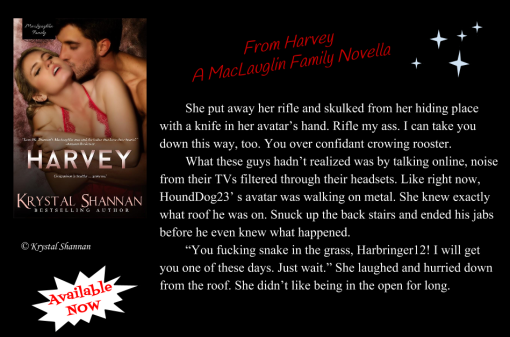 Thank you for joining me for this Exclusive Excerpt Friday post! 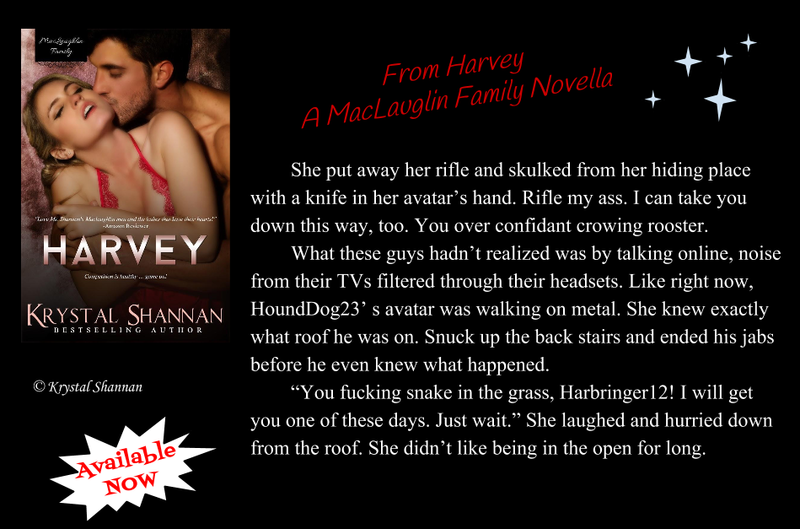 Today I have a special excerpt from Harvey, book 3 in my MacLaughlin Family Series. This contemporary romance was so much fun to write and I hope you enjoy it!